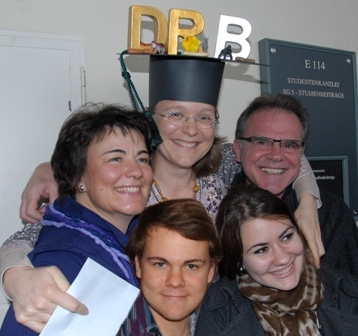 On February 12th 2011, Bianca obtained the German Doctor title in Munich, Germany. 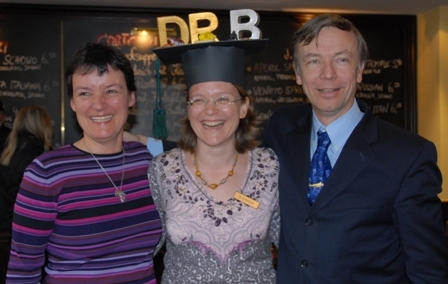 In Germany you are not automatically Dr. by graduating from university - you have to do research, write a thesis, and defend it in an oral examination - only then you are entitled to call yourself 'doctor'. Bianca performed her research while she was still at Texas A&M and submitted her thesis 'Accuracy of conventional radiography versus computed tomography in predicting implant position in relation to the vertebral canal in dogs' last October under mentorship of Dr. Hans Maierl through the Ludwig Maximilians University. 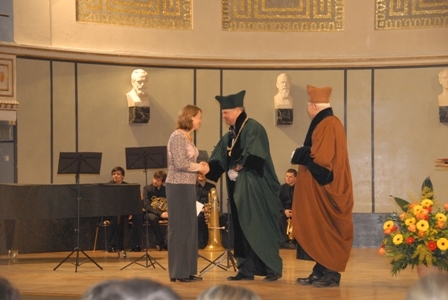 On Saturday morning, February 12th, she defended her thesis and received her Doctor medicinae veterinariae that afternoon during a grand ceremony at the main auditorium of the LMU. 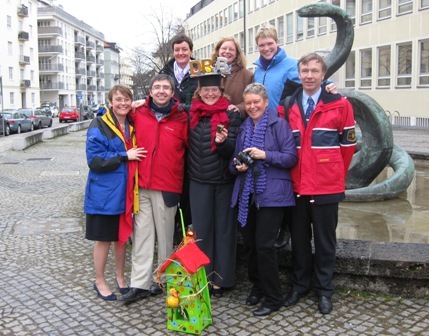 The whole Hettlich family, relatives and friends met in Munich to celebrate. It was very emotional because on occasions like this we miss Frank very much. Bianca dedicated her thesis to Frank: dedicated with all my heart to my father Dr.Frank Hettlich, with the last photo that Frank took of the sunrise over the atlantic. 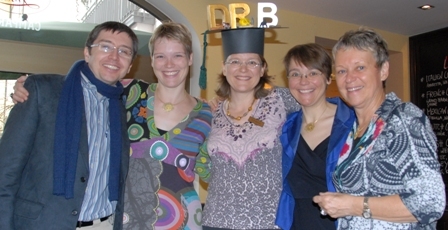 After the graduation ceremony we had a big party at the home of Karl Heinz and Sabine. It was a wonderful setting to celebrate and made the day even more special. The next day, we all flew again to various parts of the world, where ever home is. Next will be Malaika. Her thesis is currently with her mentor for final corrections and we should have another Dr. party this year! 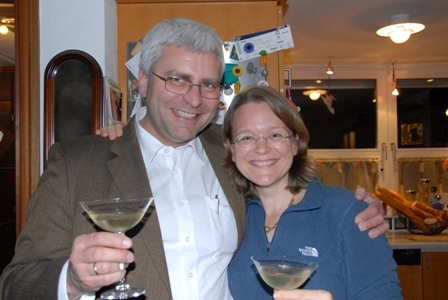 The New Year has already begun but we still want to take the opportunity to look back on an eventful year 2010 for the Hettlich family. Go to Victoria Falls and you may be in for a surprise. 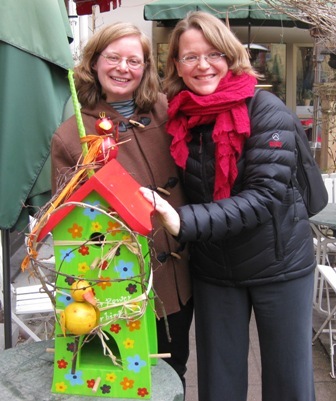 So were George, Jenny and me when we visited for a few days in February 2010. Another year has passed and we have been missing Frank for almost three years now. Once again we approached and handled another year with courage and mostly good humour. 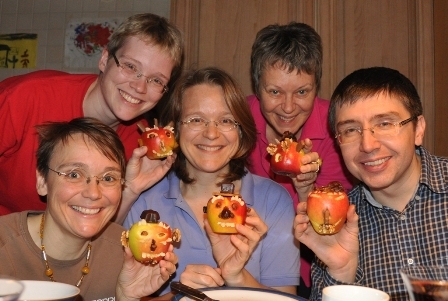 With this attitude we celebrated the 30th anniversary of the practice in Kleve.